Greetings! 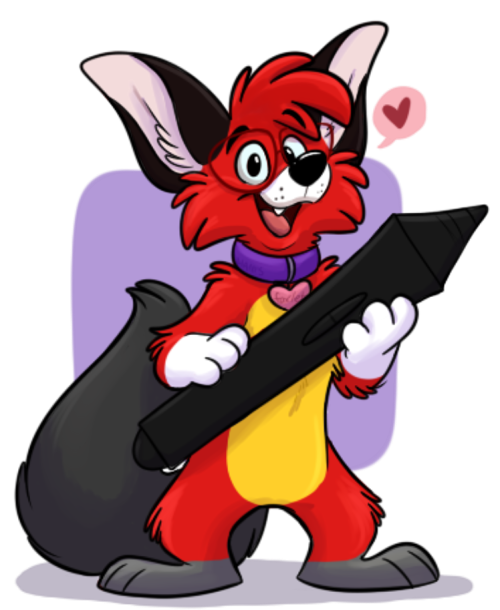 My name is Brianna, though a lot of you may know me by my character name/online alias: Orlando Fox! I currently live in Florida, enjoy food a lot, and I'm almost always drawing! All of my current art education stems from four years of high school classes, studying from life, admiring other artists work, watching cartoons, and, to put it simply, drawing almost every day. I dream of becoming a storyboard artist, if not an Illustrator or character designer, for animated shows and films one day. But for now, I am a freelance artist, occasionally working on pieces for individuals, but also having worked on art for other projects and convention posters. Also alongside my art endeavors, I'm competitively involved in Pokken Tournament DX! Any moment I'm not scribbling away, I'm likely in a stream chat somewhere while someone plays the game! Or simply doing both! Always busy!! There's probably not much more I could put here, except that I hope you may like what you see here!